DALLAS, TX--(Marketwired - July 21, 2016) - At first glance, Dallas doesn't appear to have many commonalities with New York and Los Angeles beyond ranking among the ten largest cities in the U.S. Yet, notes Texas real estate developer Marcus Hiles, "When you dig a little deeper, it turns out that all three locales have more renters than homeowners." In fact, 55.9 percent of Dallas households live in rental housing. Across the country, Americans are increasingly choosing tenancy over home ownership, with the population of renters expected to grow by at least a half million each year through 2023. Contrary to common wisdom, homeowners' housing expenditures far exceed that paid by renters. While the annual cost of rent may outpace total house payments for the year, buyers are saddled with maintenance expenses and higher utility payments -- making the rental lifestyle even more attractive. 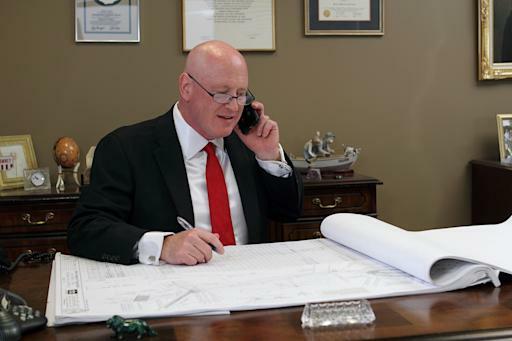 Marcus Hiles, Chairman and CEO of Western Rim Property Services, urges Dallas tenants to get the most value out of their housing dollars by searching out communities that offer resort-like amenities. "There's no need to feel suffocated in a boxy apartment complex when you can thrive in surroundings that reflect the lifestyle you envision," he states. Hiles encourages potential renters to prioritize services and facilities that match their interests. Animal owners could discover properties that offer a private off-leash dog park, convenient waste stations, and nearby pet-sitting services, veterinarians, and groomers. "Families with children should find developments located in superior school districts, and that provide on-property parks, playgrounds, and activity areas," Hiles notes. Similarly, avid golfers could move into communities that include nearby course privileges and have stunning golf course views, while fitness buffs might select properties with state-of-the-art fitness centers, ready access to personal trainers, and jogging trails. Hiles' sage advice comes from expertise in building rental properties that embody luxury living. "When renters choose to live in communities that align with their lifestyles, they achieve a greater work-life balance," he states. That equilibrium is particularly important given that a third of apartment dwellers are between the ages of 30 and 44 -- the prime of their careers -- and another 30 percent are between 45 and 64 years old. Hiles' ability to design apartments that deliver resort-like amenities while maintaining an enviable commute distance ensures that Dallas will continue to trend toward renting over home ownership. Marcus D. Hiles came from humble beginnings as the son of an inner city minister, and holds degrees from Rice and Pepperdine Universities. Hiles' upbringing fueled his commitment to those less fortunate, and his generous donations help programs for schoolchildren, disadvantaged women, and children's hospitals. In 1990, he founded Western Rim Property Services, which since 2012 has been awarded a Top 5 company score for residential communities for four consecutive years by SatisFact, the industry standard in resident survey-based quality ratings.